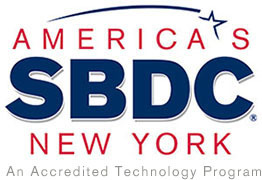 The New York Small Business Development Center (NYSBDC) provides small business owners and entrepreneurs in New York with the highest quality, confidential business counseling, training, and business research at no cost. We work with real people and real businesses. Our assistance helps people like you achieve real success, as it has for more than 30 years. The Mohawk Valley SBDC announced its move to Mohawk Valley Community College’s thINCubator on Broad Street in downtown Utica. “Bringing MVCC’s thINCubator and the SBDC under one roof will centralize entrepreneurship services and provide a one-stop shop of entrepreneurial assistance for our region’s entrepreneurs, students and business owners looking to create opportunities for economic growth and creativity,” said Vice President of Community Development and Executive Director of the MVCC Foundation Frank DuRoss. Learn about NYSBDC activities in 2018 and discover small business success stories from all around New York State. Erica Chase-Gregory, regional director of the Small Business Development Center at Farmingdale State College, describes how the partial federal government shutdown can create hurdles for those looking to the federal Small Business Association for loans to jump-start or expand their firms.